Check out our cheats to discover the strongest Ultimate attack, how to easily get SSJ4 Vegeta, unlock Picolo, and unlock Dubora. We'll also tell you how to start with transformation. Plenty of hints and tips for you to try out including easier battles against Kid Buu, making all Z's on Story mode and unlocking Super Sayain 4 Goku. How to beat Majin Vegeta easily! 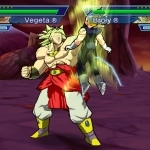 We have 128 questions and 186 answers for Dragon Ball Z: Shin Budokai Another Road. Check them out to find answers or ask your own to get the exact game help you need. 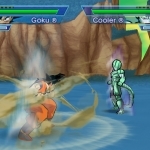 How to play network battle in Dragon ball z shin budokai another road. I can't complete chapter 1?? 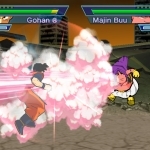 We have 12 Walkthroughs for Dragon Ball Z: Shin Budokai Another Road. A large list of FAQ/Walkthroughs which includes guides for Vegeta, Trunks, Teen Gohan, Cell, Broly, Krillin, Bardock, Goku and Picolo. We also have a Challenge FAQ. No discussions open for Dragon Ball Z: Shin Budokai Another Road at the moment. Can anyone tell me how to unlock ss4..